My Boyfriend Hates Makeup: Zoya Gaia: A Vibrant White! 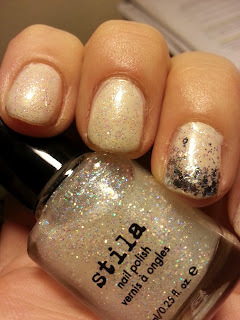 Every collection needs a vibrant, dependable white to use as a base for showing off glitters and holos. However, finding that perfect white is a tough task! 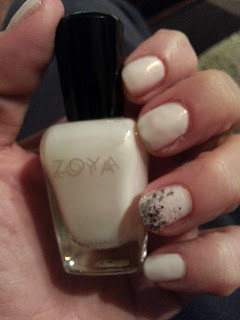 During Zoya's Back To School BOGO offer, I scooped up Gaia, a white cream with a fine gold shimmer. I decided to get a polish with shimmer instead of a pure white because I figure if I am using it to layer glitters, why not start with a shimmery base? GIVE ME ALL THE GLITTERRRRRR! Ahem, let me calm down for a moment, LOL. 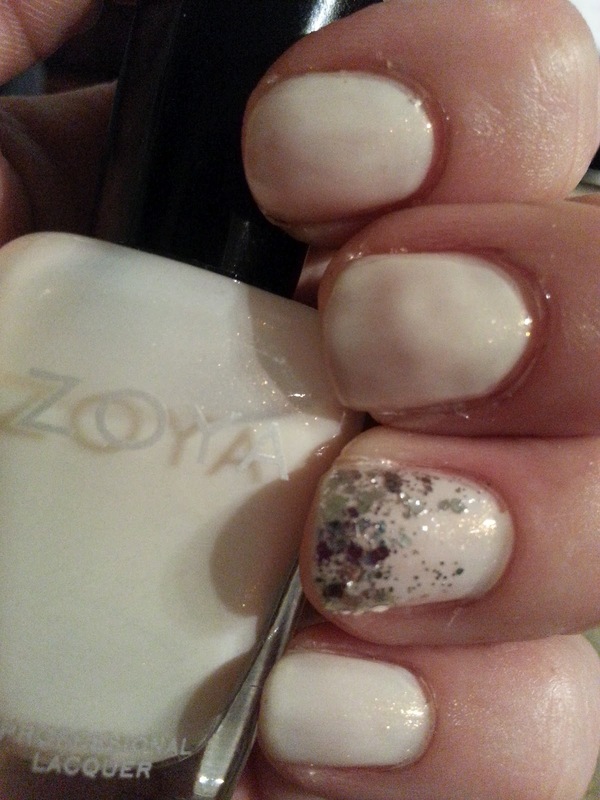 Anyway, here is Zoya Gaia topped with Seche Vite. 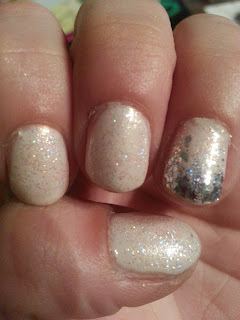 Accent nail is Essie Luxe Effects Set in Stones and then the photos with extra shimmer have a coat of Stila's Icicle. I was going to sell it but I am glad I decided not to do that. Take a look and see why! See my middle finger there? The bumpiness is my nail bed itself, not the polish. #problemswithpeelingnails! What is your perfect white polish? This seems really sheer. 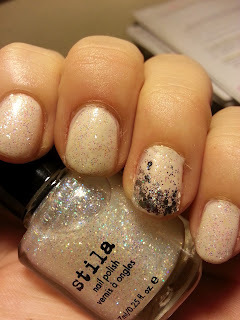 I've been looking for a white jellyish polish for layering. Do you think this would work? 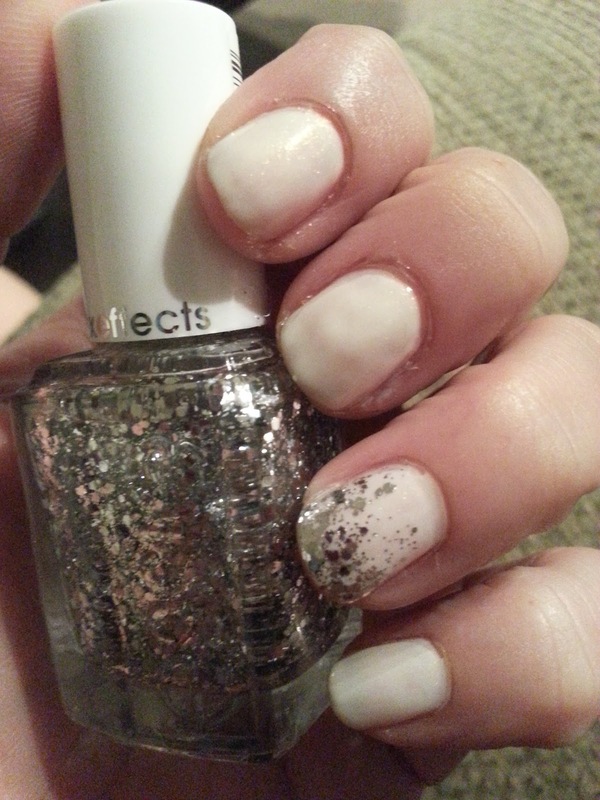 Danielle, Essie Marshmellow was recommended to me as the perfect white jelly! !